A fraudulent transfer occurs when assets in your name are transferred in an attempt to harm a creditor. This harm can be financial and caused by the removal of assets or the delay in gaining access to them. The creditor can be a current or future creditor. A fraudulent conversion is different from a fraudulent transfer and involves changing one's property that is subject to the claims of a creditor to a type of property that is not subject to attack. This property is still owned by the original person so there is no transfer to a third-party that is involved. 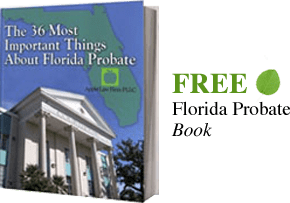 Florida's laws provide that a creditor can sue a person to undo a Fraudulent transfers or conversions up to 4 years after the conversion or transfer takes place. Asset protection planning and transfers become immune from fraudulent conveyance suspicion four years after the planning takes place. Not all attempts to protect or change assets are fraudulent. Only some are subject to being undone by a court. The issue that is important is based upon what the intent of the transfer was. Courts use many factors to determine the purpose of the transfer. Some of the factors include whether the transfer was made to a family member; if the transfer was hidden from the creditors; who maintains use over the asset; and the person is now insolvent because of the way the assets were transferred. Another issue that is important is if the transfer was made in such a way that the person receives something of fair market value for the asset? Could a Fraudulent Conveyance Impact Your Asset Protection? The possibility that a creditor might allege fraudulent transfer or conveyance shouldn't stop efforts at asset protection. The Constitution affords you the right to control and/or transfer your property prior to a judgment in a civil suit. (Unless a court order forbids the transfer or disposition of your assets.) The risk in aggressive planning is no worse than doing nothing and often there is much to gain in terms of negotiations. If you need Asset Protection or you feel that there is a potential risk you would like to limit, CONTACT our Florida Asset Protection Lawyers by email or call us at 904-685-1200 to discuss your situation today.